To determine whether MBSR groups would help gay men living with HIV improve psychosocial functioning and increase mindfulness compared to treatment-as-usual (TAU). Methods: 117 participants were randomized 2:1 to MBSR or TAU. No new psychosocial or psychopharmacological interventions were initiated within 2 months of baseline. Standardized questionnaires were administered pre-, postintervention and at 6 months. An intent-to-treat analysis found significant benefits of MBSR: at post-intervention and 6 months follow up, MBSR participants had significantly lower avoidance in IES and higher positive affect compared to controls. MBSR participants developed more mindfulness as measured by the Toronto Mindfulness Scale (TMS) including both TMS subscales, curiosity and decentering, at 8-week and 6 months. 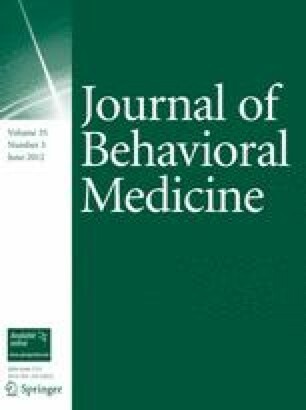 For the sample as a whole, increase in mindfulness was significantly correlated with reduction in avoidance, higher positive affect and improvement in depression at 6 months. MBSR has specific and clinically meaningful effects in this population. We gratefully acknowledge operational grant funding support for this study from the Canadian Foundation for AIDS Research (CANFAR) grant # 015 003. In addition, a co-principal investigator MJE is the recipient of a 5-year Mid-Career Scientist Award from the Canadian Institutes of Health Research. We would also like to take this opportunity to express our gratitude to all of the men living with HIV who participated in the study despite the randomization. This research was supported by a grant received from the Canadian Foundation for Aids Research (CANFAR) grant #015 003.